Since 1985, Lazylawn has become the largest stockist and brand of premium artificial grass in the UK, winning the 'Which?' best artificial grass product 2016 and the 'Which?' Trusted Trader in 2018. The Lazylawn North Manchester team has an enviable code of practice and a 100% review rate. 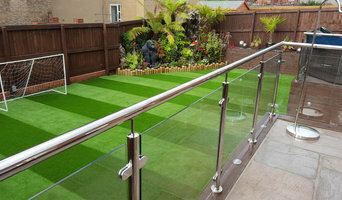 We survey, design, recommend and install artificial grass products to all types of situations, overcome drainage issues, pet and children wear, rainfall, drought and sun damage and weed/moss infestation. Landscaping & Design projects completed at the highest standard whilst aiming to maintain an affordable project cost. A forward thinking and fast growing landscape design and landscape contracting business based in Chester, covering the North West of the UK. We offer design and build or build only services, for domestic or commercial contracts and are happy to construct projects designed by other garden designers and landscape architects. Urban Landscape Design Ltd has gained a solid reputation within the North West for producing well constructed gardens with a keen eye on detail and for running well managed projects, completed within budget and on time. The Urban Landscape Design management team has a combined experience of over 50 years in all aspects of construction, design and project management - the skills required to create truly inspired gardens. With over 10 years experience working within both garden maintenance and landscaping, we have experience in working independently with clients and working in conjunction with some of the best designers and companies in Cheshire, to provide stunning gardens. Alderley Garden Services cater for all your gardening needs in Wilmslow, Alderley Edge and surrounding areas. WE are a small family run business which is big enough to cope and small enough to care! We have over two decades of experience in Landscaping, we are specialists in artificial lawns & play services. 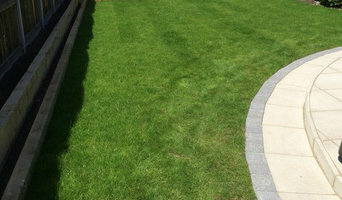 We are FirstLight Landscaping, a highly skilled Marshalls registered and two time RHS silver medal winning landscaping company based in Leeds, working throughout the West Yorkshire area. Since 2007, we have been providing homes and businesses with beautiful driveways, paths, patios and stunning landscaped gardens. With over 10 years experience in landscape gardening we pride ourselves on offering a first class professional service, delivering small scale projects right through to full scale design and construction. 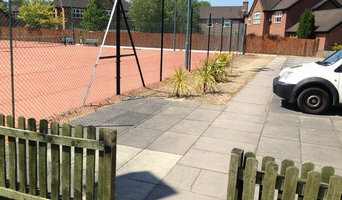 Our landscapers specialise in paving, driveways, tarmac, decking, block paving, walling, fencing, turf laying, drainage works, and ground works. Covering the whole of Leeds and West Yorkshire area we particularly focus on the areas of Horsforth, Cookridge, Alwoodley, Adel, Bramhope, Roundhay, Moortown and West Park. Escape Garden Design have worked for over a decade designing and building gardens for customers throughout Cheshire, Manchester and Derbyshire. 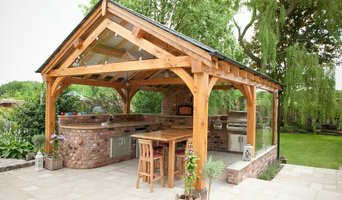 We combine unique and personalised garden designs with high quality construction and attention to detail. Working in a range of styles and with many different materials, we aim to create our customers' dream garden for them, whatever that may be. Partners of the business, father and son, Harry and Adam have has been in the Construction and Home Improvement Industry for many years and have a reputation for outstanding work of the highest quality. Harry and Adam and the Fabulous Resin Driveways team, work closely with all clients and are always involved from start to finish with each project, so as to enable any potentially difficult areas of the driveways project to be fully anticipated and agreed prior to start on site. This is very important on complicated “One-Off” driveway construction where the clients are looking to delivery an element that requires the utmost attention to detail. They are fully involved in all operational issues, including client liaison, development and project management. They both enjoy working with clients to fulfil their requirements and get pleasure handing over finished projects that not only meet with, but often exceed clients expectations. We at Fabulous Resin Driveways believe that our “Can-Do” attitude, combined with our ability to recognise when specialists are required for a particular element of work, supported by a specialist Sub-Contractor network that can fulfil any client requirement, really make us unique and is a skill that sets Fabulous Resin Driveways apart from any other contracting organisation. Bespoke Landscapes is full-service landscaping company. We can provide a complete range of garden & driveway services including artificial & natural lawns, block-paving, decking, drainage issues, exterior electrical work, fencing, garden buildings, gates, pathways, patios, retaining walls, water features and much much more! 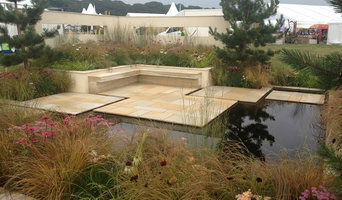 Bespoke Landscapes will create an outdoor space that is unique to you. Every landscape project is tailored to your budget & requirements no matter how large or small. If you want it in your garden we can do it ! Evergreen Garden Services are experts in creating low maintenance gardens using decking and artificial grass. From initial contact to the smile on your face when you see the transformation Evergreen Garden Services offer a professional service that you will find impossible to beat. Vad gör egentligen en trädgårdsmästare i Stockport? Det är självklart svårt att svara på utan att veta hur stor trädgård du har eller vilken erfarenhet av trädgårdsarbete du besitter. När det kommer enklare sysslor som gräsklipparservice klarar de flesta av det själva, i alla fall om tiden finns, men ska du anlägga en hel trädgård, lägga trädgårdssten och plantera en häck kan det vara bra att anlita en trädgårdsmästare, eller rent av en trädgårdsanläggare i Stockport. Om man tar hjälp av en riktig expert så blir det trots allt bättre än om man skulle göra det själv, för att inte tala om alla tid och energi som man slipper lägga ner på det stora projektet. Vi hoppas att du vet lite mer hur du kan tänka när du ska planera din trädgård för att göra den så fin som möjligt, och självklart att du hittar någon för dina behov, oavsett om det är en trädgårdsskötare, regelbunden trädgårdsskötsel eller en trädgårdsarbetare i Stockport, Cheshire, UK för att uträtta engångssysslor. Lycka till!